It’s time to get you set up for the forthcoming season. There is a useful app that I really shouldn’t keep to myself! Before, during and after my “Round the World” trip, I have always used the Hole19 Golf GPS app. There are three simple reasons why. Firstly, it’s super easy to use. Secondly, in my point of view, its accuracy. 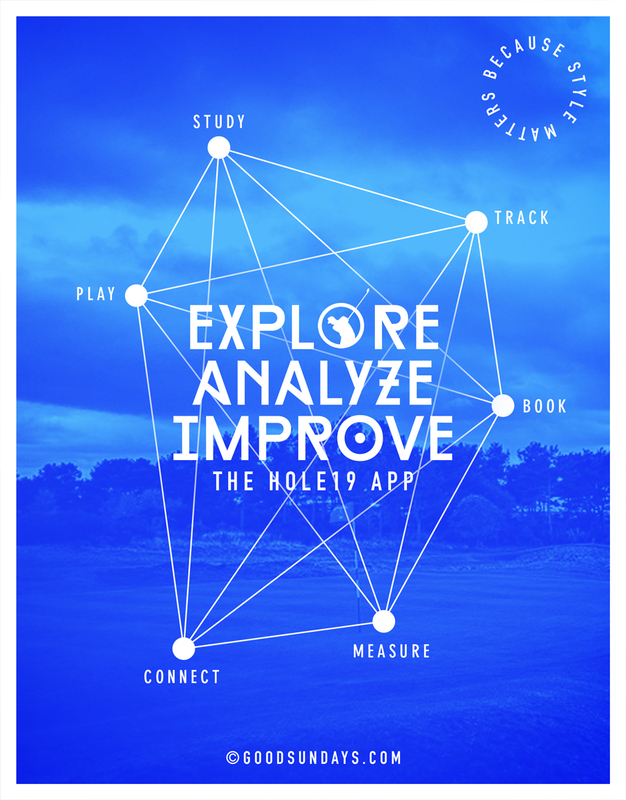 And, lastly, the Hole19 Golf GPS app is free. The accurate golf course GPS distances are hard to beat. So much so, there is no need for an expensive golf rangefinder. It’s always so accurate no matter where you are in the world. I was quite surprised, I played a course in Scotland in the middle of nowhere, The Island of Bute, and the course doesn’t even have a homepage. But the course was on the app!!! Also you don’t really need a course guide anymore. The GPS map info is very accurate and they have over 98% of the world’s golf courses mapped. I use Hole19 for every single round I play to track my score on the digital scorecard. I collect all my stats, collate everything and learn what I need to work on. 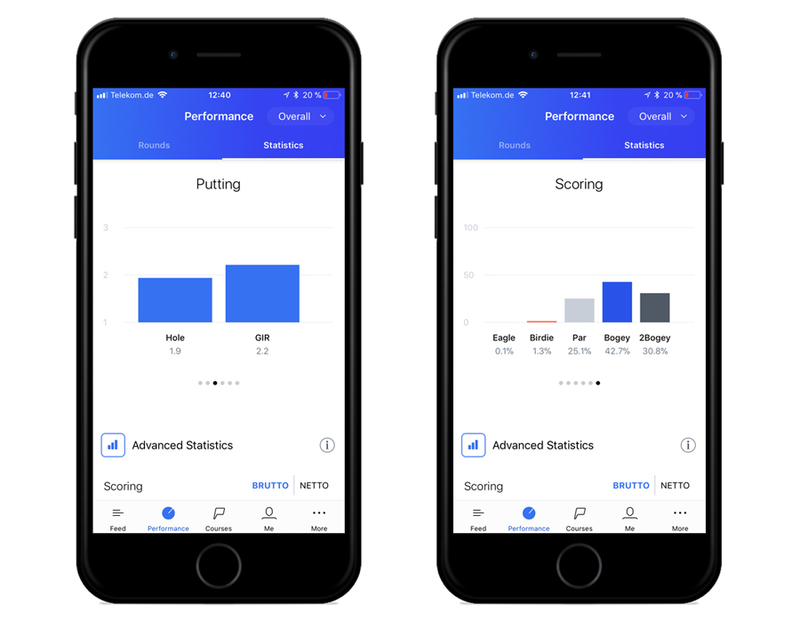 To have all my stats in one app is the way forward. Trust me, I play for fun, but throughout last year I was so curious and fascinated to know all the statistics about my game. 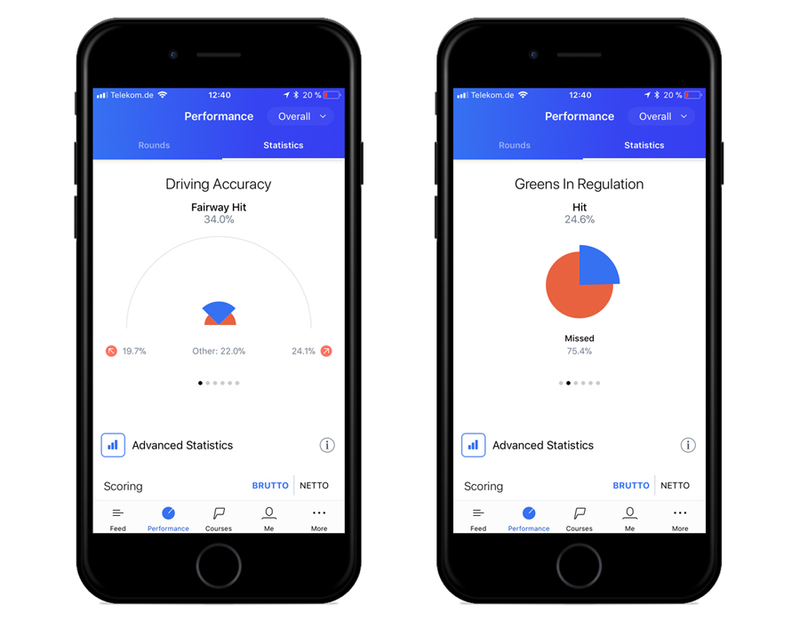 So much so, I updated to the Premium version, which lets you easily track the distance of your drives too, view advanced statistics amongst other things. But one of the coolest things is the option to post your round or post images of the golf course. There is a huge golf loving community which you can talk to about the courses or your score. You can even follow me on the app and see my ‘so so’ scores. 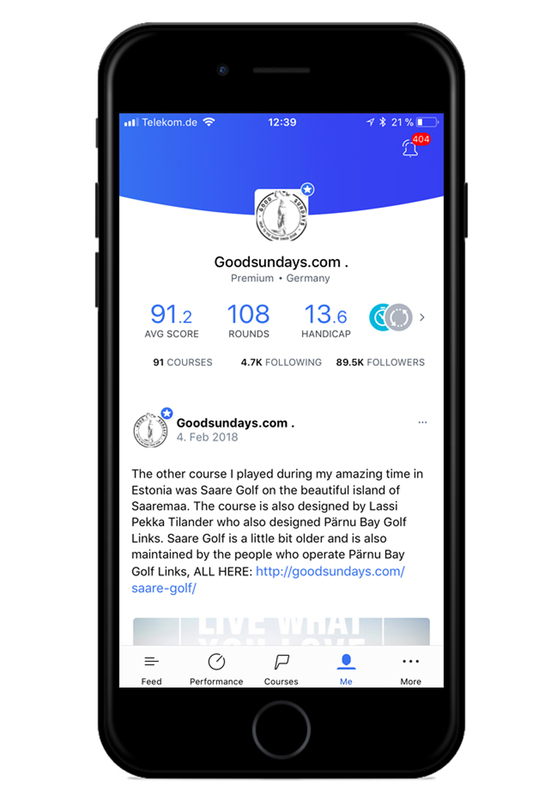 It`s like Facebook but with the fact that most of the users or followers are golf nuts like me. From time to time I have also used Hole19 to find a good golf course nearby. 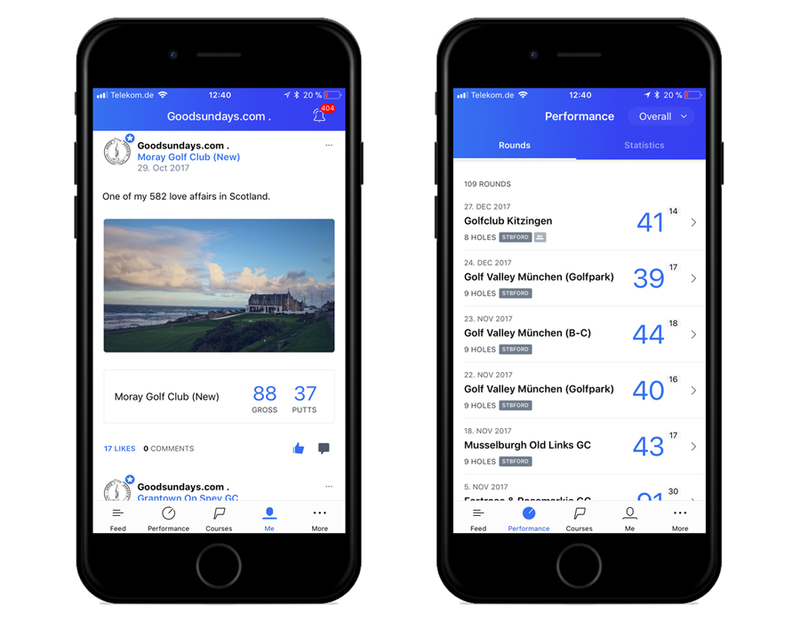 You can now easily book your tee times via the app in the USA, Spain and Portugal. In addition to that, they offer a number of hot deals and really good discounts for tee times. I love the clear cut, pure and modern design. 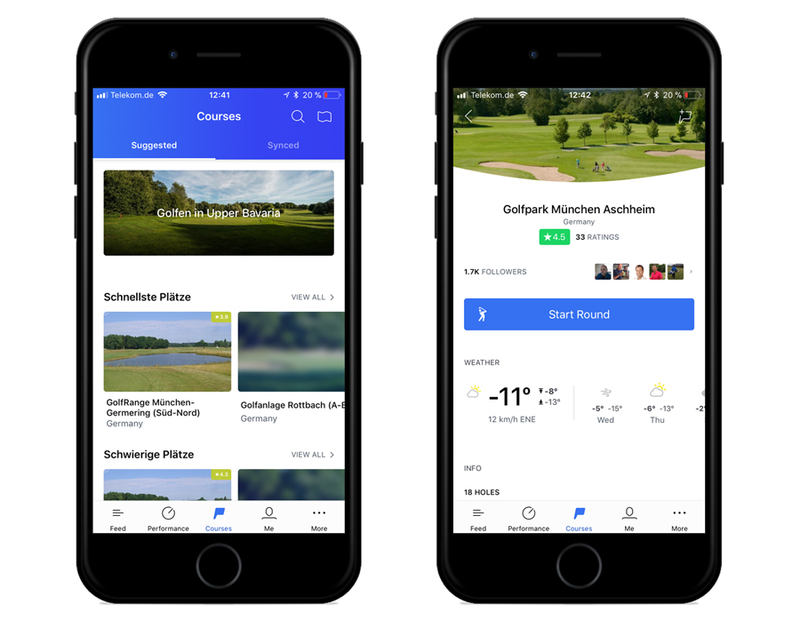 There are no bells and whistles, just great design and the all important golf app essentials.